Fully compliant with the SD Card Association`s SD 3.0 standards, the ADATA SDHC Class 10 is compatible with the previous SD 2.0 interface and supports all SDHC host digital products. 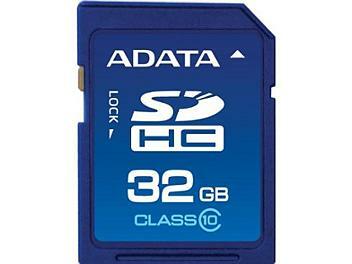 Adopting the FAT32 file system format, the ADATA SDHC Class 10 surpasses the 2GB capacity limit of traditional SD cards, featuring a capacity of up to 32GB, with read and write speeds up to 20 MB/s and 16 MB/s1, respectively. The SDHC Class 10`s high read/write speeds ensure smooth full-HD video recording without dropped frames.